When: Wednesday, July 27, 2016, – 10 a.m. to 1 p.m.
Take a private tour of the rarely seen clothing and textile collection at the Nevada State Museum’s Marjorie Russell Clothing and Textile Research Center. Curator Jan Loverin will lead you through this fascinating collection, focusing on Nevada and the Great Basin. 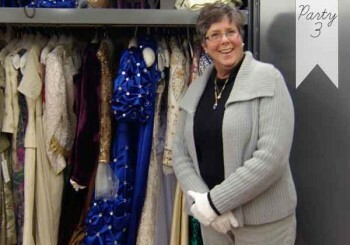 Significant artifacts include Nevada’s First Ladies Inaugural Ball gowns, entertainment costumes, wedding attire, every day and formal wear, military, religious, railroad and fraternal garments. After the tour you will enjoy lunch at Glen Eagles Restaurant just a short drive away.